A 65-million-year-old giant snail is the highlight of a new exhibition in the eastern Turkish province of Adıyaman. The fossil of a 44-cm-wide snail was found in the Gölbaşı district in 2008. “This is one of the biggest snails ever found in the world,” the museum’s director, Mustafa Ekinci, was quoted as saying. 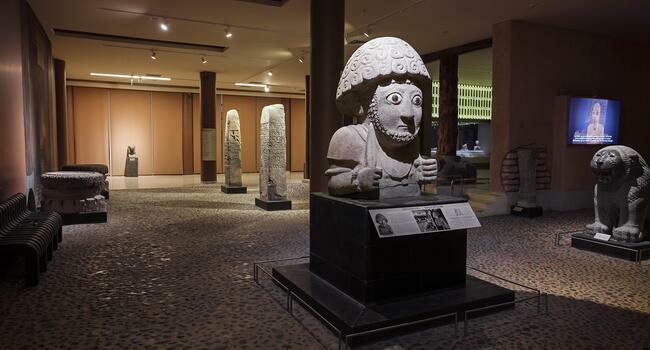 İhlas News Agency reported Feb. 22 that the Adıyaman Museum started to exhibit the fossil. The fossil, which is being exhibited on an 85-cm-wide marble tray, has become the source of public interest, the agency added. Among other geological fossils, the museum also hosts archaeological findings, especially from the time of the ancient Kingdom of Commagene.